(Mineola, NY) The Irish Americans in Government is a charitable organization whose members of Irish heritage contribute to the community through government service. 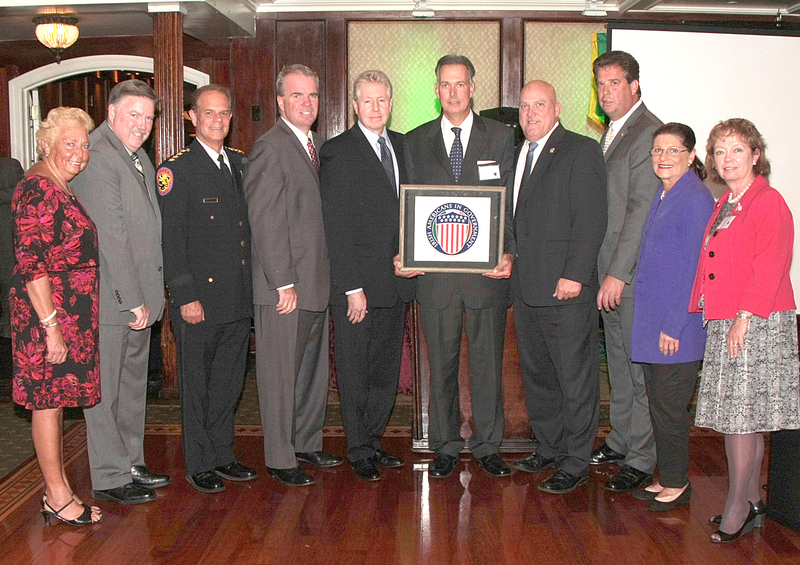 This year the Irish Americans in Government were pleased to honor the men and women of the Nassau County Police Department who have dedicated their lives to government, education, community service and to the preservation of Irish culture and custom. Honored at this year’s Scholarship Reception were Acting Nassau County Police Commissioner Thomas Krumpter, Police Benevolent Association President James Carver, Detectives Association Inc. President Glenn Ciccone and Superior Officers Association President Brian Hoesl. The distinguished scholarship recipients were joined by family and friends, as well as area officials. Nassau County Clerk Maureen O’Connell took part in the celebration and expressed her congratulations to the honorees for their great commitment and service to the community.